First settled during the great mining rush of 1859, the Tarryall Creek Valley produced riches of placer gold for a few lucky prospectors. 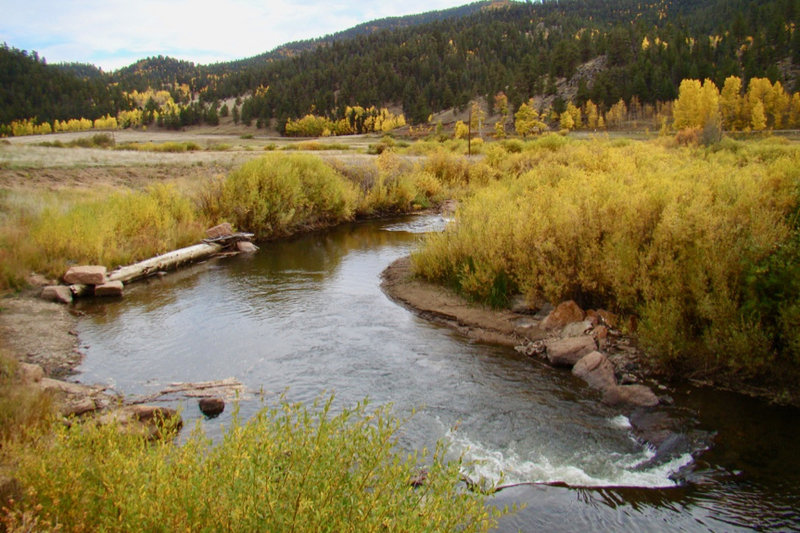 Today, the gold is long gone, but abundant riches still remain in the valley in the form of wildlife, lovely vistas, a trout-filled river, and a pervasive peacefulness worth much more than gold. 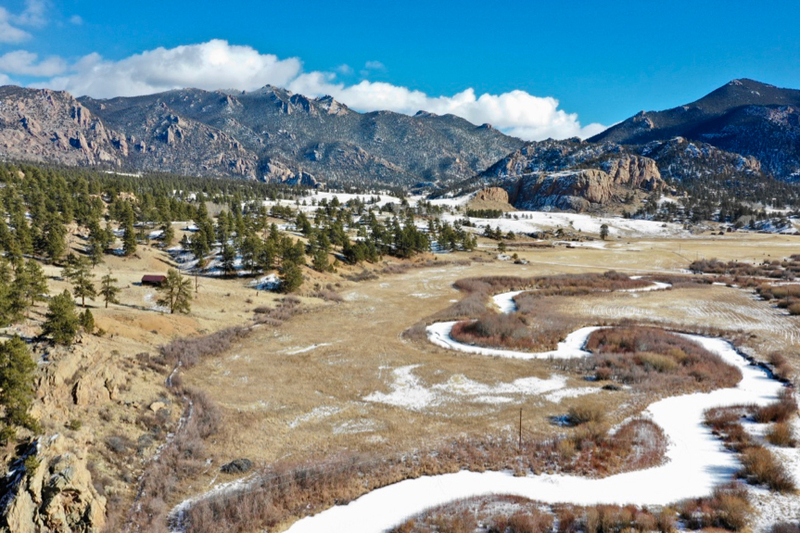 Crossbones Ranch lies in the heart of this magical valley, and would be a perfect location for a dream home, small recreational ranch, trophy fishing property or even a corporate retreat situated not far from some of Colorado’s greatest urban areas. The Crossbones Ranch is located at an elevation of about 8700 feet, and occupies about 80 acres in the heart of the Tarryall Creek Valley, only about four miles from the once-bustling boomtown of Tarryall. 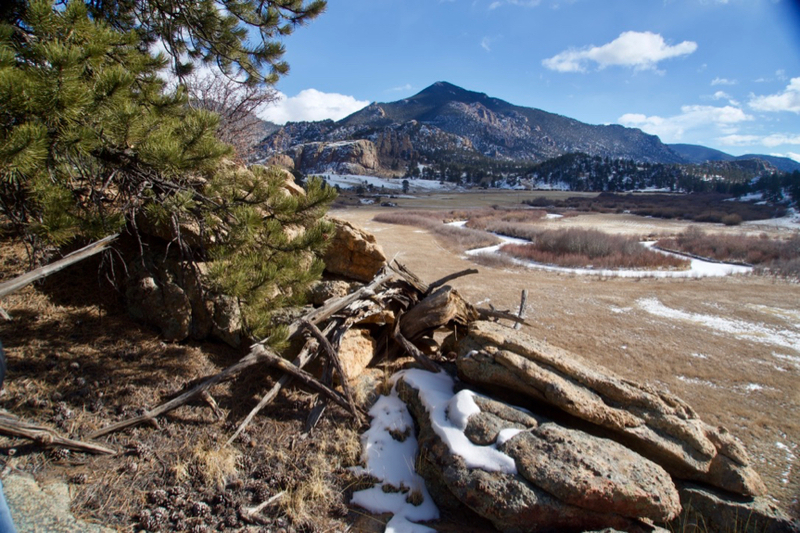 Most of the ranch lies in a rich grassy meadow, bordered by hills supporting stands of ponderosa pine and aspen. 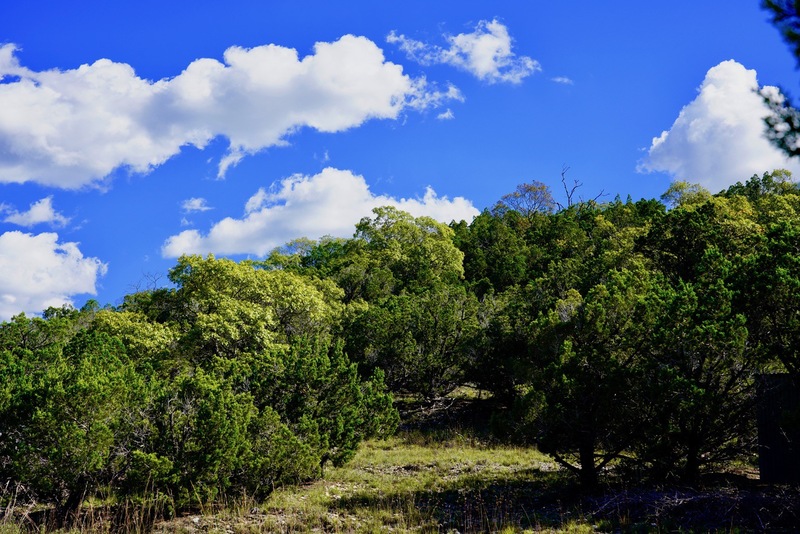 Other small ranches dot the valley, but they are not crowded together, and thus Crossbones Ranch offers room to breathe. 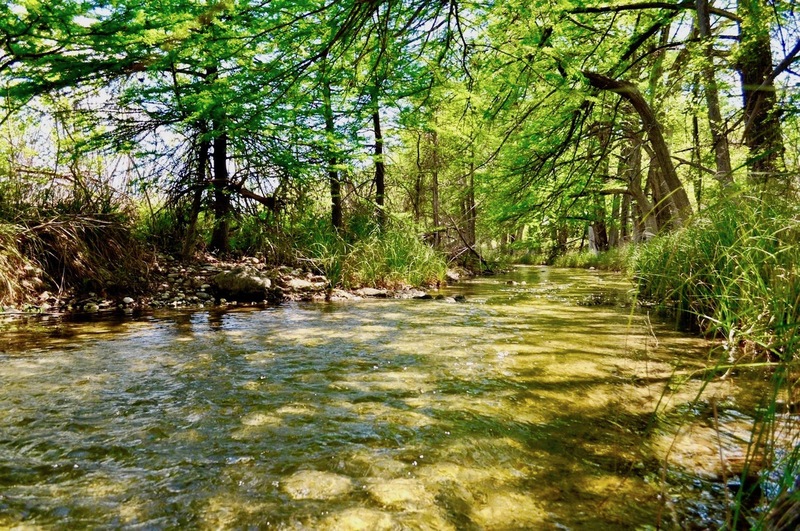 Tarryall Creek itself may be the ranch’s greatest natural asset, as it winds for three quarters of a mile through the heart of the property. 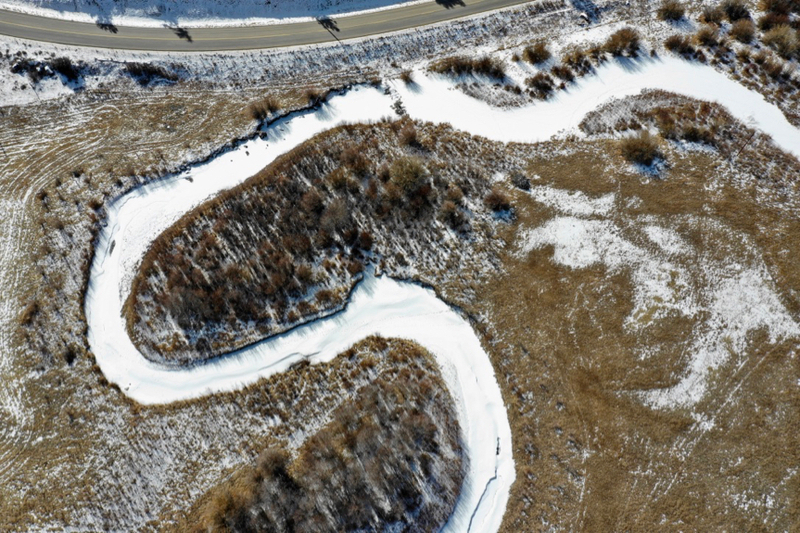 This 30-foot wide stream has received loving care and habitat enhancement over the years, and is home to some sizable rainbow and brown trout, and even a few northern pike. 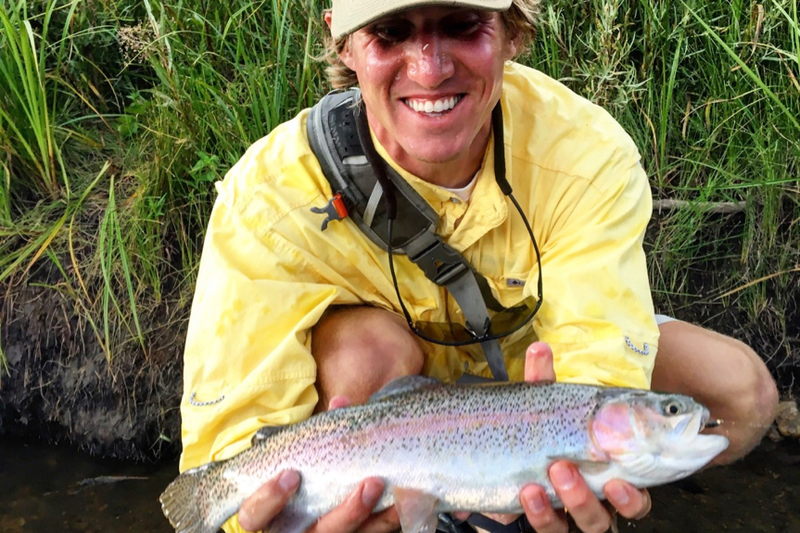 The trout here grow up to 18 or 20 inches, and find good cover in the sweeping oxbow bends on the ranch, sheltered with natural willows. Fly fishers in particular find Tarryall Creek a delight, with its moderate currents and steady hatches. 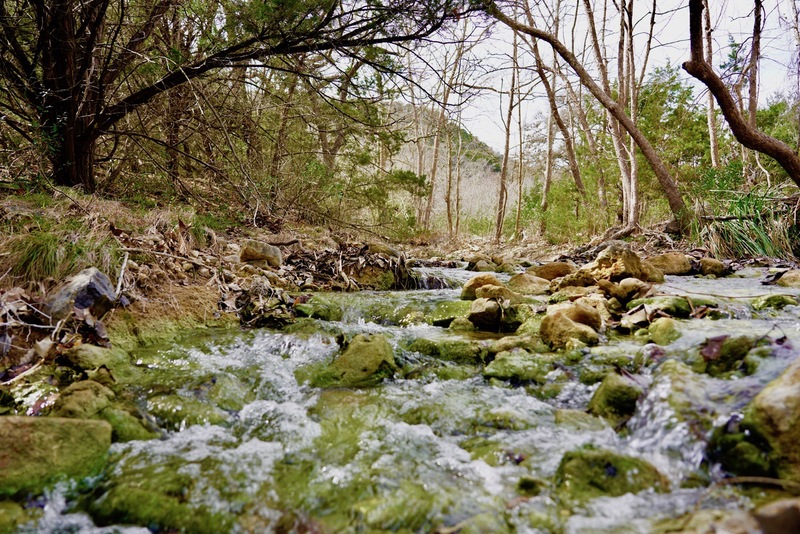 As superb as the stream fishing is at the ranch, many other recreational opportunities are available nearby. 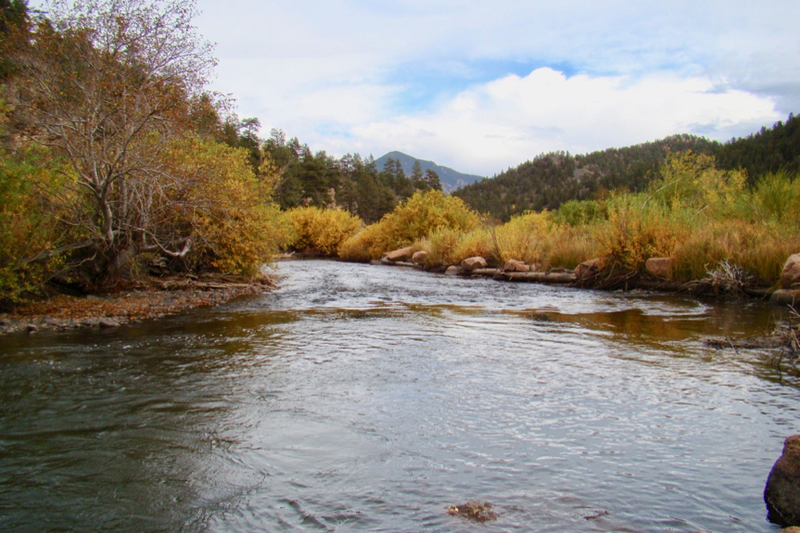 The ranch adjoins the Pike National Forest, with deer, elk, bear, mountain lion and bighorn sheep hunting. 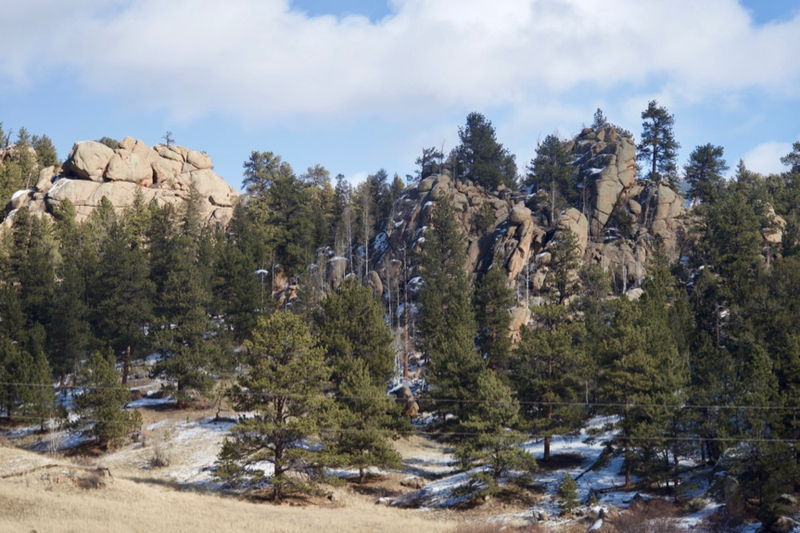 The rugged Lost Creek Wilderness is close at hand, offering days of hiking or horseback adventures, surrounding the 12,000-foot peaks of the Tarryall Mountains. Lake fishing is available at Tarryall Reservoir, just seven miles upstream. Mountain biking is superb on the National Forest, and, of course, the ever-changing scenes in the Tarryall Valley can keep a photographer busy for years. Crossbones Ranch is largely unimproved, but is brimming with potential, with several lovely private building sites and year-round paved access. 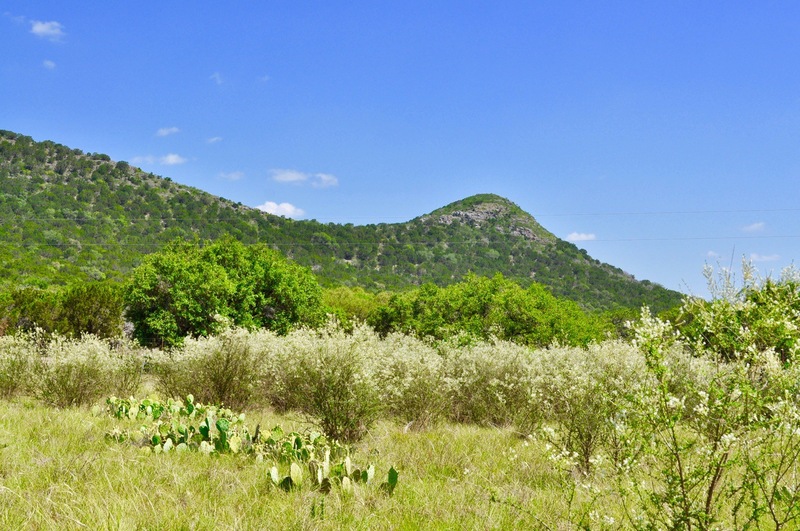 Power and telephone already reach the ranch, and no conservation easements encumber the property. 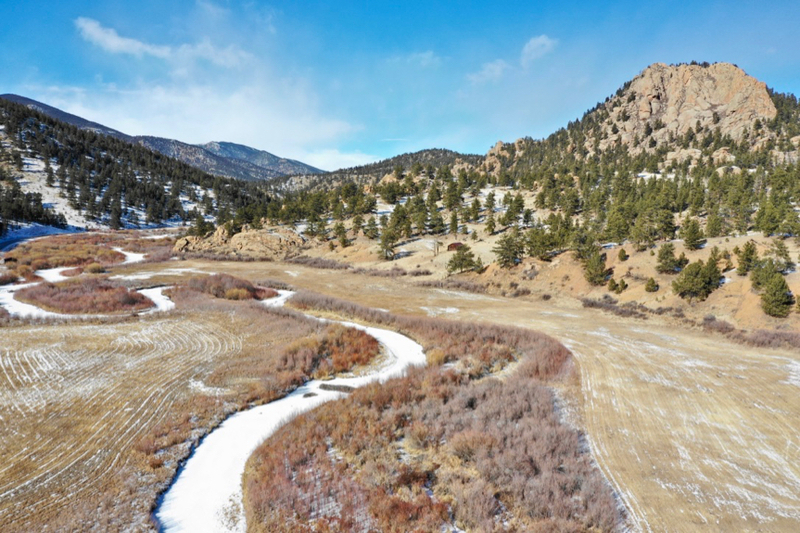 The property comes with 2 cfs of water rights that are ample to water its hay meadows. 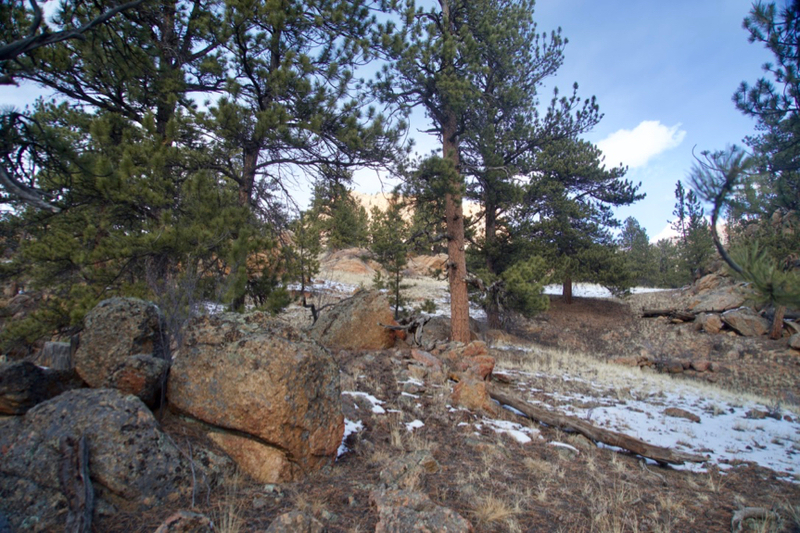 The Tarryall Valley is a hidden treasure that is surprisingly accessible to both Colorado Springs and Denver. The former is but an hour drive away, and the latter, 90 minutes. It would be hard to imagine a better private weekend fishing retreat from either of these urban centers than the Crossbones Ranch. The “Fifty-niner” prospectors of the Tarryall Valley were men who dreamed big. Many of their dreams were not fulfilled, but the valley still invites dreamers of another variety. 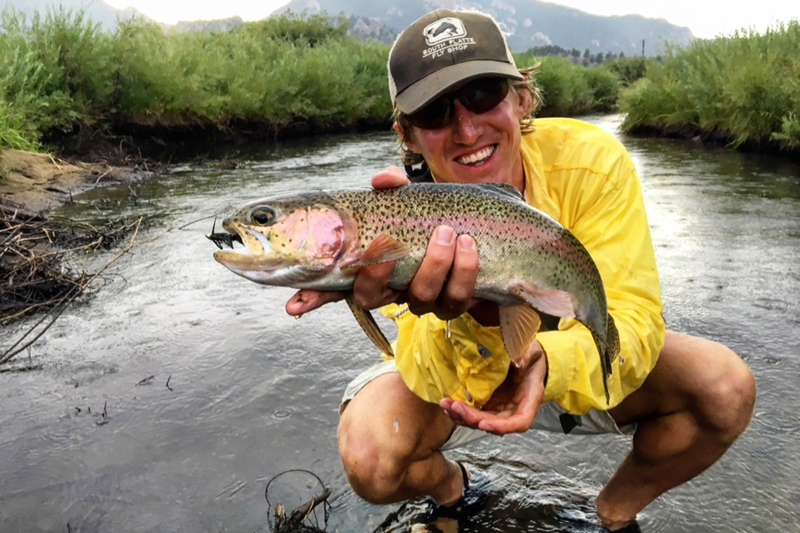 Those who would dream of rising trout, lovely solitude and a valley unchanged by time, can find those dreams richly fulfilled at Crossbones Ranch.